California Snowshoe Rescue View other Snowshoes for adoption. We rescued Nova and her 5 babies from a parking lot in East Hollywood in June..She has a heart of gold and a lot of love to share! Nova loves treats and has made incredible progress trusting humans again! She became a mother when she was only 6 months old so she missed out on being a kitten herself. Let's give her the chance she deserves to be pampered and enjoy being a kid again. She is sweet and shy so she needs a loving home with someone who can be patient and let her build trust at her own pace. 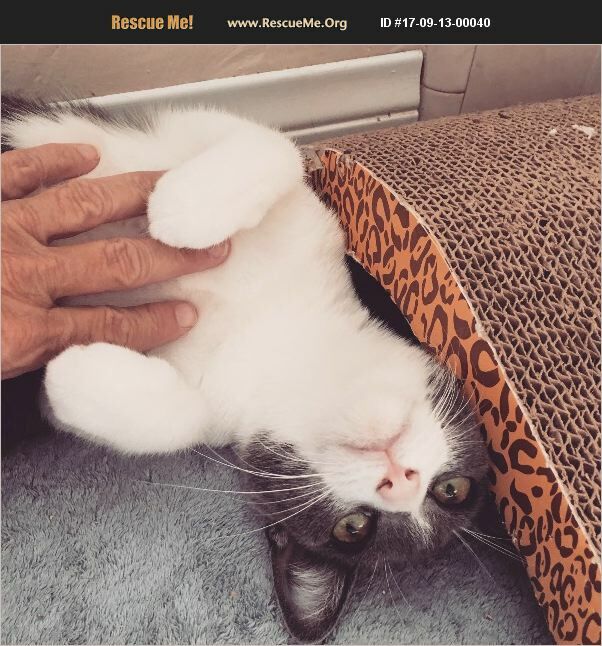 Please email us if you'd like to hear more about this incredible kitty or set up a play date!